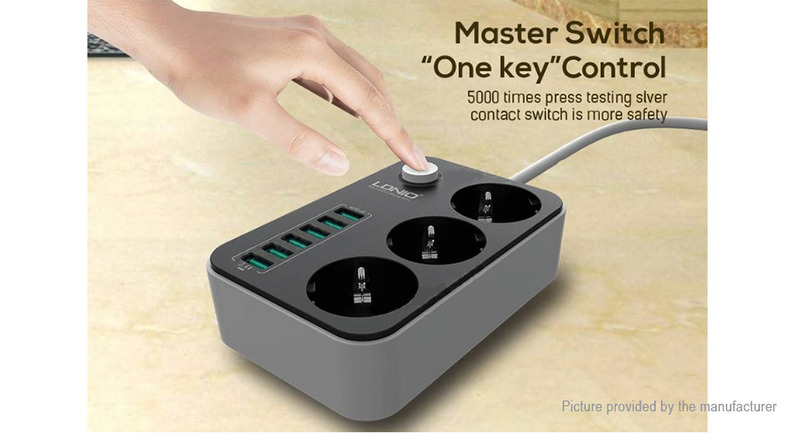 3 EU standard AC outlet and meet your daily needs. 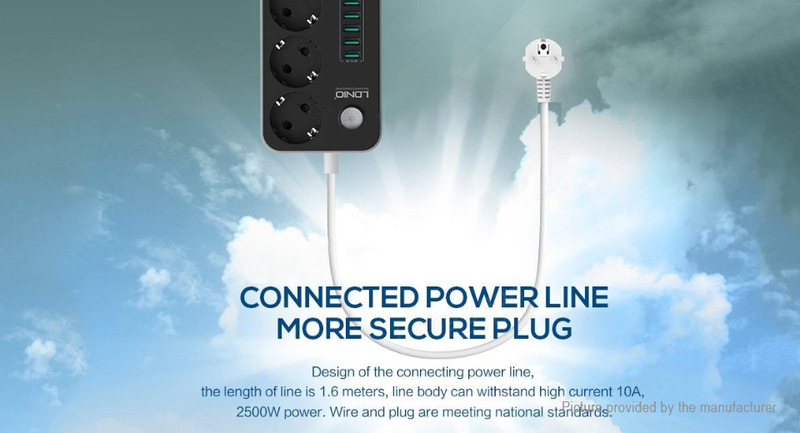 5.24ft/1.6m power cord provide you a longer extension socket. 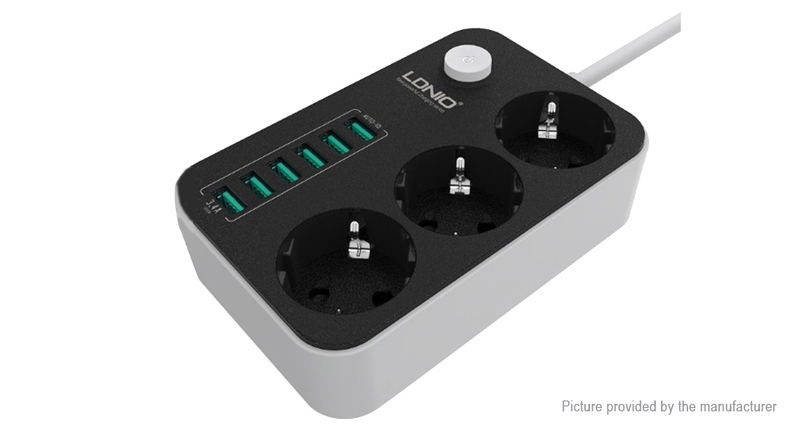 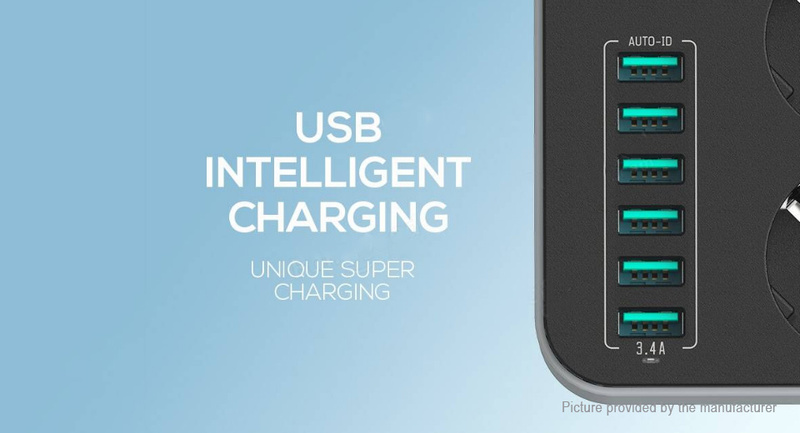 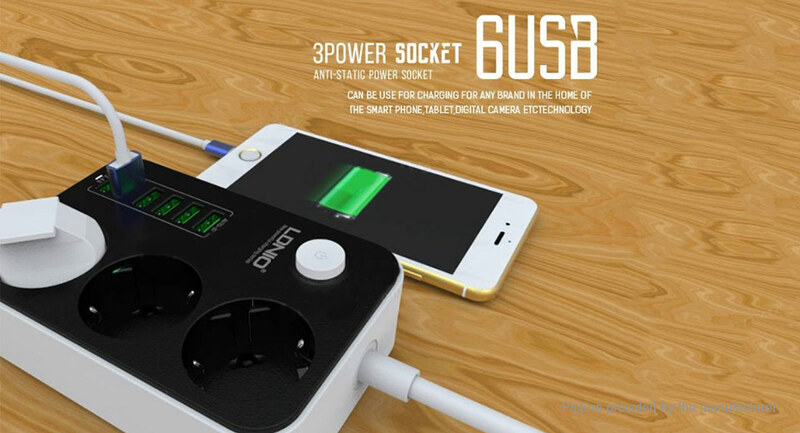 6 USB ports can be charged at the same time, like cellphone, tablet, power bank and so on. 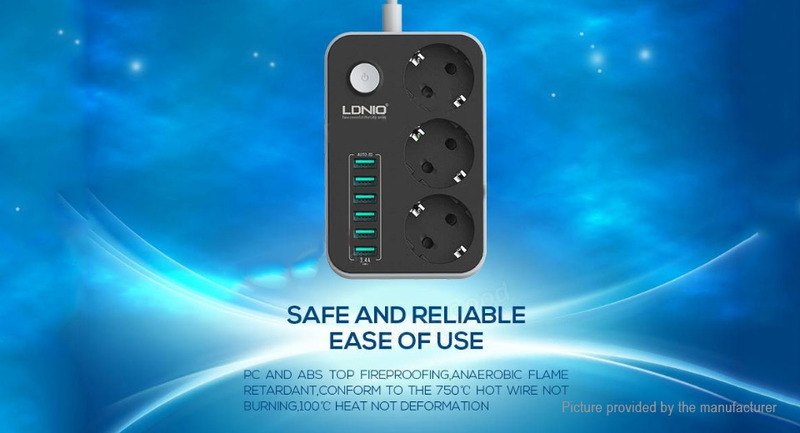 Quality and sturdy Fat quality power cord Quality on-off switch For all these sockets, and 6 usb ports, with an on-off switch it's very cheap. 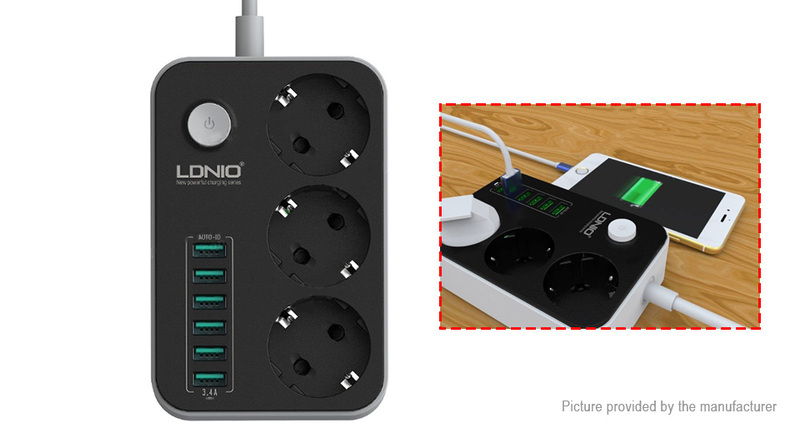 Looks sturdy Quality fat quality power cord quality feel switch for all these sockets, and 6 usb ports, with an on-off switch is cheap.